In a time when the nuisances of wedding planning have consumed so much of my personal life, I've considered how I can share wedding inspiration without boring everyone to death? 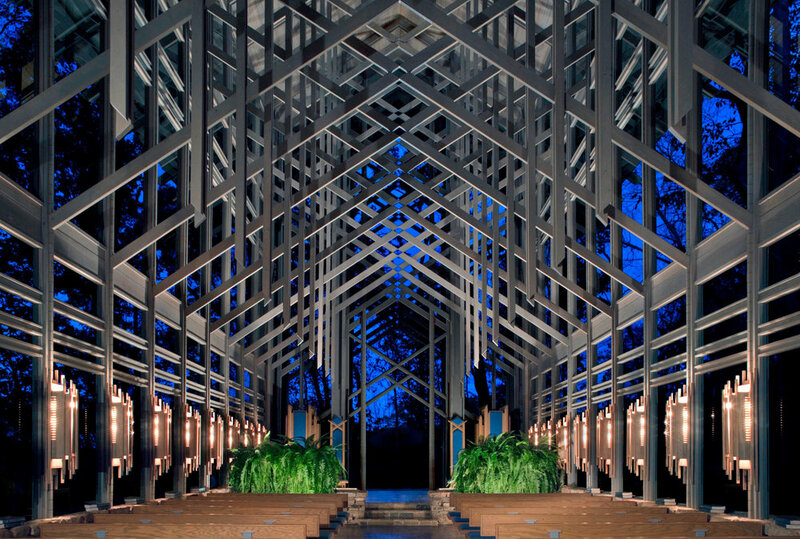 I decided to delve into one of my favorite architectural topics and also a relevant part of planning a wedding: places of worship. There are many ways to experience a place of worship: hosting a special event, community congregation, personal reflection, or even a destination for others to experience new cultures. Here are a few of my favorites, primarily in the USA. 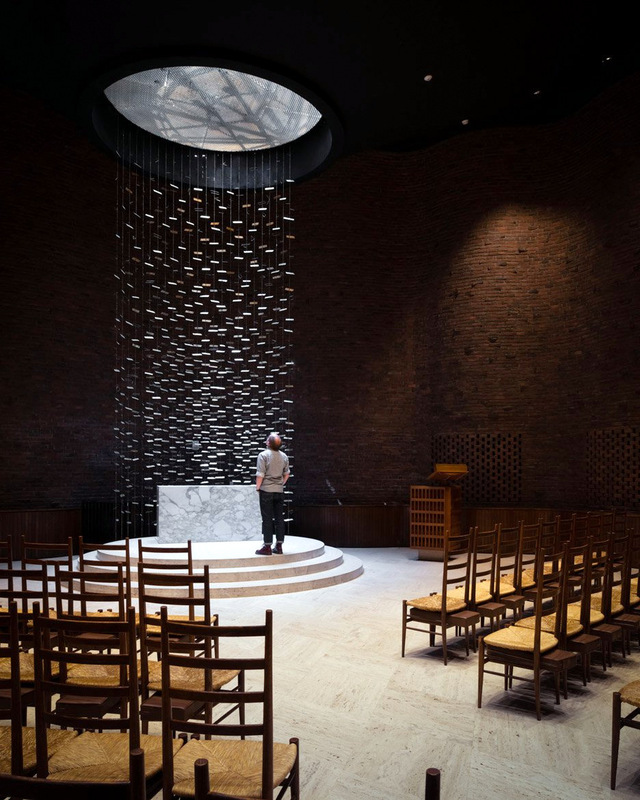 Architect Eero Saarinen and his father Eliel designed this non-denominational chapel on the MIT campus in Boston, MA. The exterior is a simple, windowless brick cylinder surrounded by a moat. The interior, however, is intimate, dramatic, and adorned with subtle details. 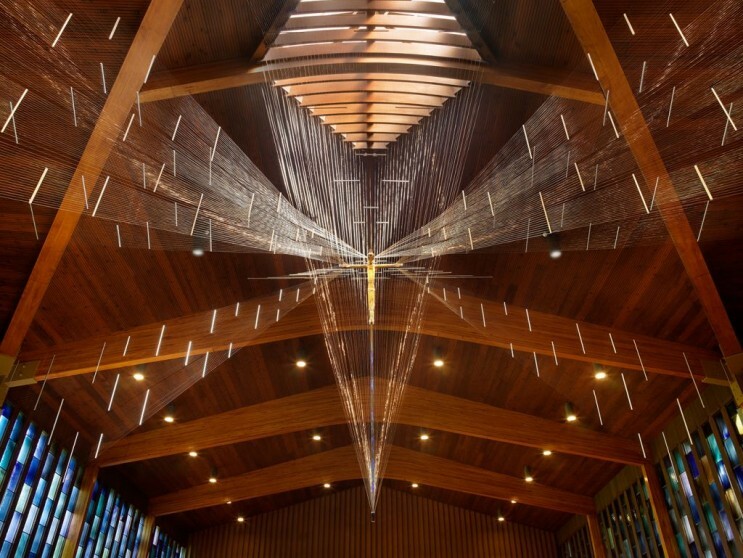 Light is the main focus of design in this chapel and is constantly changing as it filters through the skylight and moat. 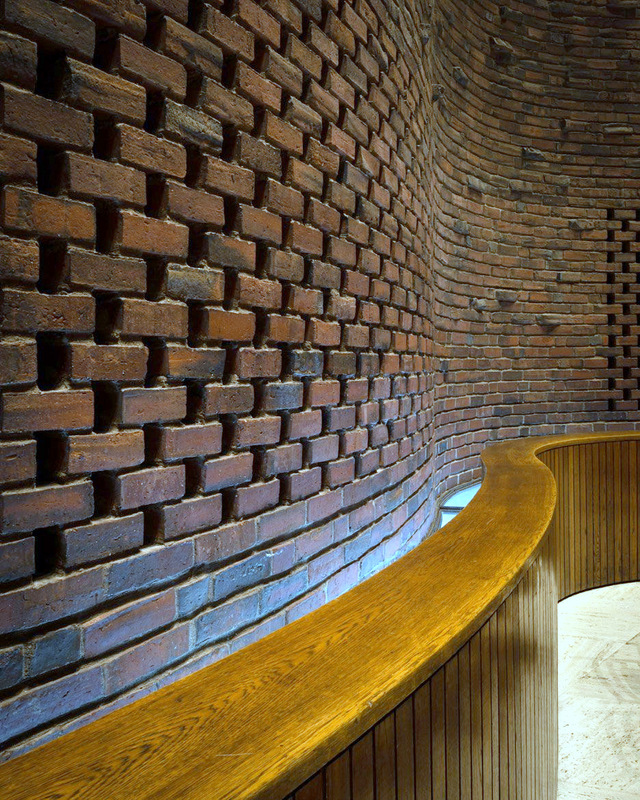 Saarinen’s details of undulating brickwork, light quality, and simple furnishings create a breathtaking spiritual space that anyone can appreciate and admire. If you are looking to get married here, you need to attend MIT. I wanted to get married here, but again, you must be a Portsmouth Abbey Alumni. If I could get married anywhere – this would be the place! Although I am confident the wait list is very long and my guests would not be thrilled traveling to Arkansas. The Islamic Center in Melbourne, designed by Glenn Murcutt is still undergoing construction. It was envisioned to be a center for the Islamic Community and broader Australian community to come together as one. With the input of the Islamic community, Murcutt opted to stray from traditional Mosque structures and instead used modern moves to hint at customary forms. One of the boldest moves was to replace a Minaret with a dramatic situ (cast in place) concrete wall with the gold crest at its highest point. The yellow lantern skylights are an obvious focal point of the building with multicolored panes of glass facing different directions based on sun patterns. Dynamically altering with the time of day, the triangular colored light reflections can be seen on the walls and floors. In typical Murcutt fashion the building is also highly sustainable, working with the land and its surroundings. Murcutt and his client set out to define a new architectural language of Islamic architecture that would bring together past and present, young and old, near and far, by broadening and redefining the community. 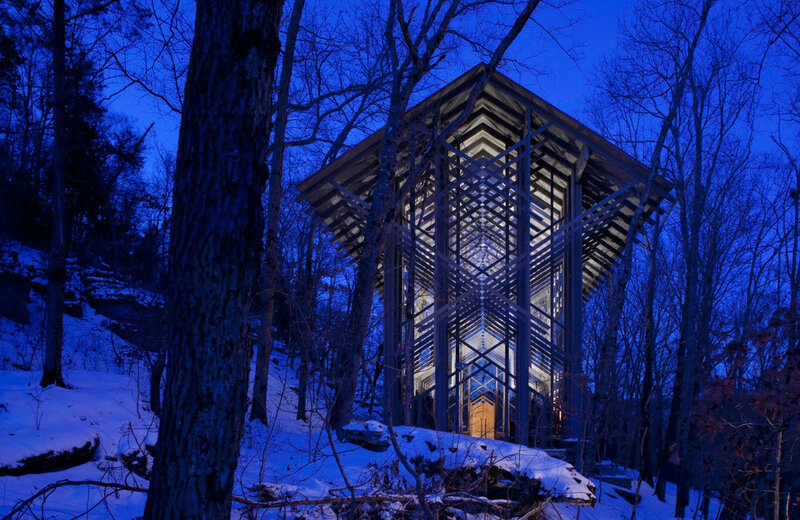 If Glenn Murcutt ever designs a place of worship in the continental US, we will be renewing our vows there. Built in 1911, the Norman Gothic style church shell was constructed to address the outgrown church that stood before it. The church was built in steel – supporting very large stained glass windows and high rounded arch ceilings. The interior marble work and furnishings were later completed 1927. It is truly an awe-inspiring experience walking through the tall vaulted ceilings surrounded by the abundance of stained glass and marble. St. Mary’s parish is magnificent and the only Catholic Church in Bristol, RI that accepted outside parishioners. This list could continue on and on with striking, stimulating, and thought provoking places of worship – what are some of your favorites?